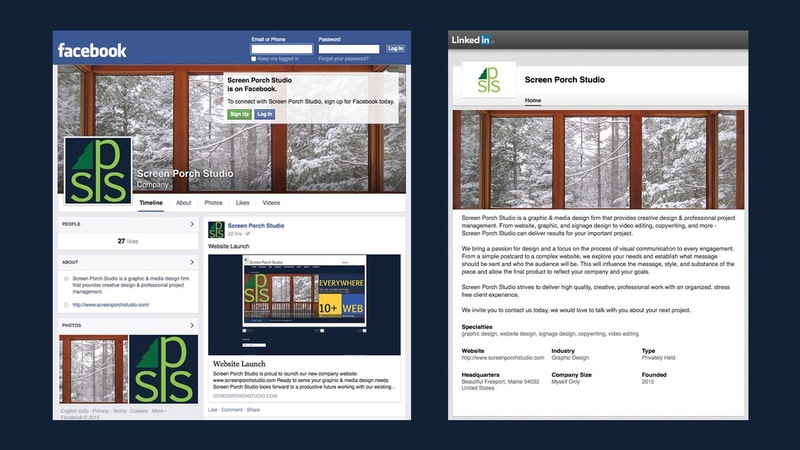 Screen Porch Studio is now on Facebook and LinkedIn! Since the April website debut Screen Porch Studio has now launched company pages on Facebook and LinkedIn. Click the links below to visit us at your favorite social media site. You can also find buttons on the www.screenporchstudio.com home page.